Sometimes, a small object can be like a special door that opens to a wider world. For Cynthia Reynolds, that door is an iPad, which opened a portal to many things that enrich her life. Cynthia, a woman with IDD in her middle years, is receiving services from DDRC. 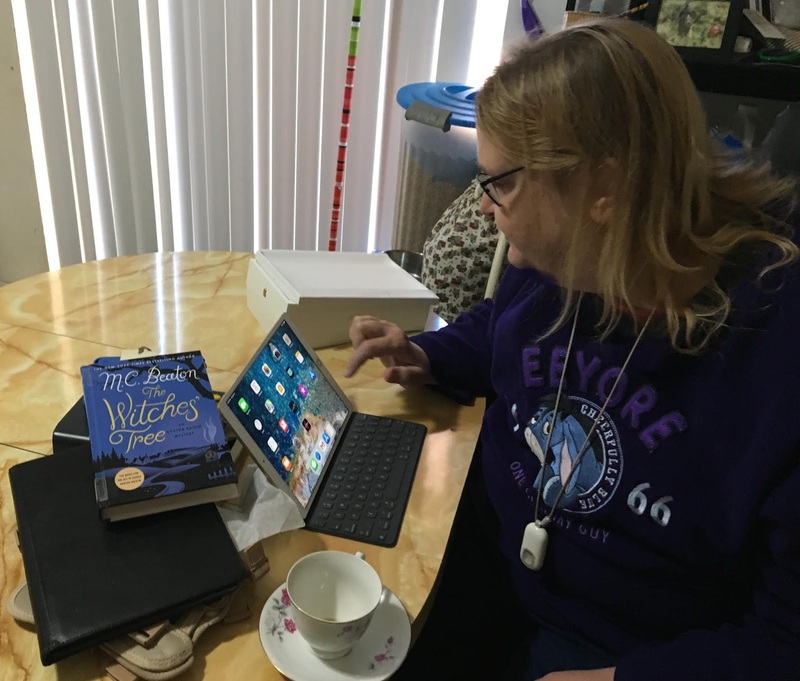 With the help of DDRC’s Self Determination funding, Cynthia recently acquired an iPad and received coaching in setting up and becoming familiar with its capabilities. That coaching was provided by Erlen Marsh, DDRC’s Instructional Technology Specialist. Cynthia uses her iPad to help make choices in her practical living, like finding the RTD bus schedule to get to King Soopers or go on other errands. The iPad gives her access to an app to get grocery coupons, keep track of a shopping list, and watch for items on sale that she likes. A self-described mystery book lover, Cynthia also uses the iPad to get connected to the Talking Book Library to have large-print books and tapes mailed to her. She also connects to the Jefferson County Library system and uses the iPad for games like “WonderWord.” Cynthia is challenged with spelling, but she fearlessly uses her iPad to access help in dictation and spellcheck, and is active in communicating by email and Facebook to reach friends and family. 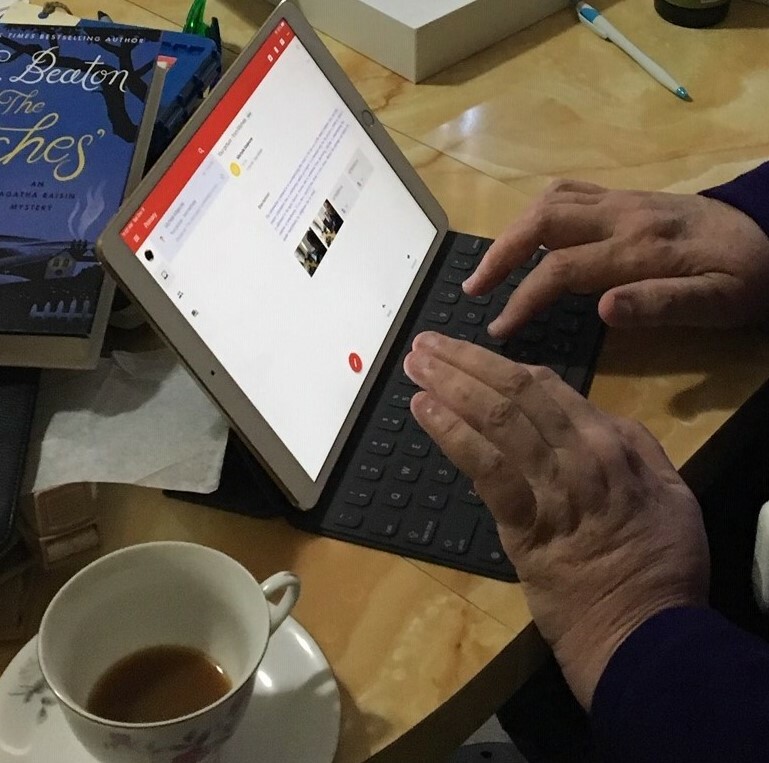 "I would miss people without this iPad," she says. DDRC’s Self Determination Funds are awarded to help individuals with IDD get unique supports to pursue their dreams and lead fuller lives. Funding is available to those residing in Jefferson County. Grants may cover things such as therapy, employment supports, social connections and life coaching. A committee of community and DDRC representatives review the requests for funds to determine if the circumstances warrant approval. For more information, please contact Kelly King, DDRC's Self Determination Coordinator at Kelly.King@ddrcco.com or 303-233-3363, or see DDRC's Self Determination information on our web page at https://ddrcco.com/self-determination-initiative.